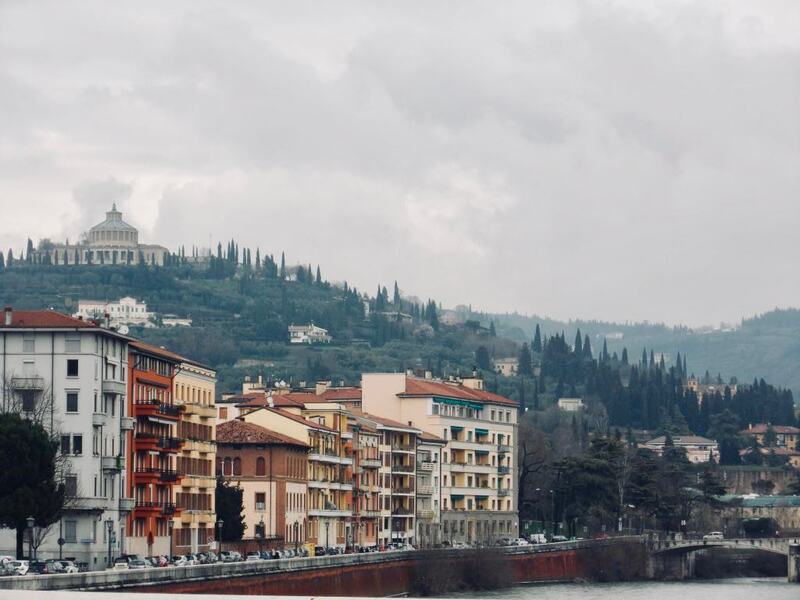 If one has a day to spare while in the Milano region, then a visit to Verona is the perfect way to fill it. All the tourist attractions essentially form a leisurely walking loop around the town, finishing up centrally in Piazza Bra. About ninety minutes after departing Milan’s Central Station, Danielle, Dimitri and I clambered off the train into a crisp clear morning at Verona. 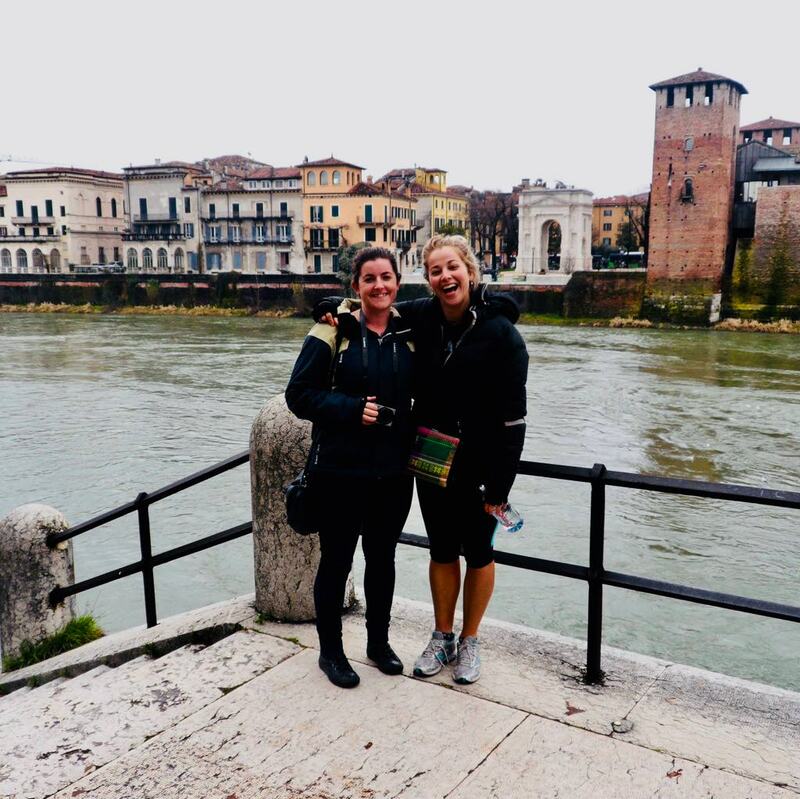 We walked a kilometre or two into the town centre, where we then veered off left to view Castelvecchio – an amazing castle with a famous bridge providing breath-taking views. 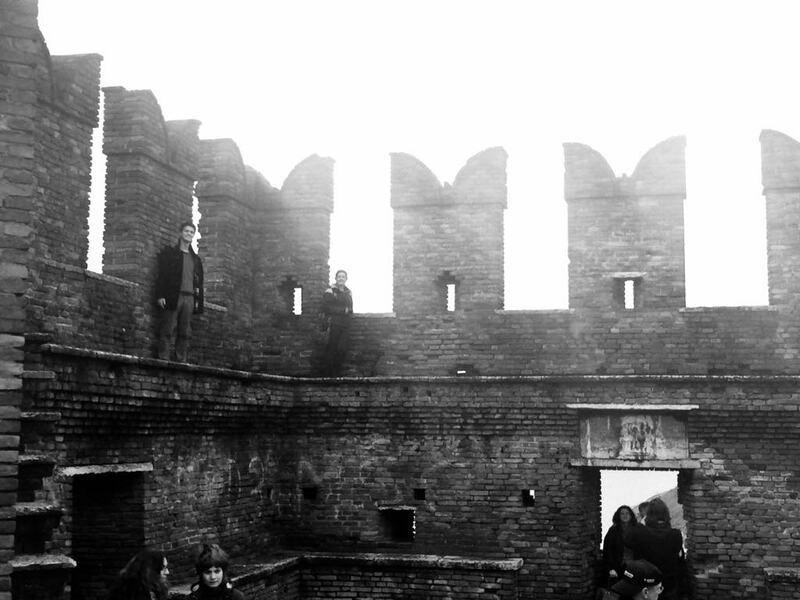 Unbeknownst to us, it was going to be more difficult than we realised to scope out our Romeo. 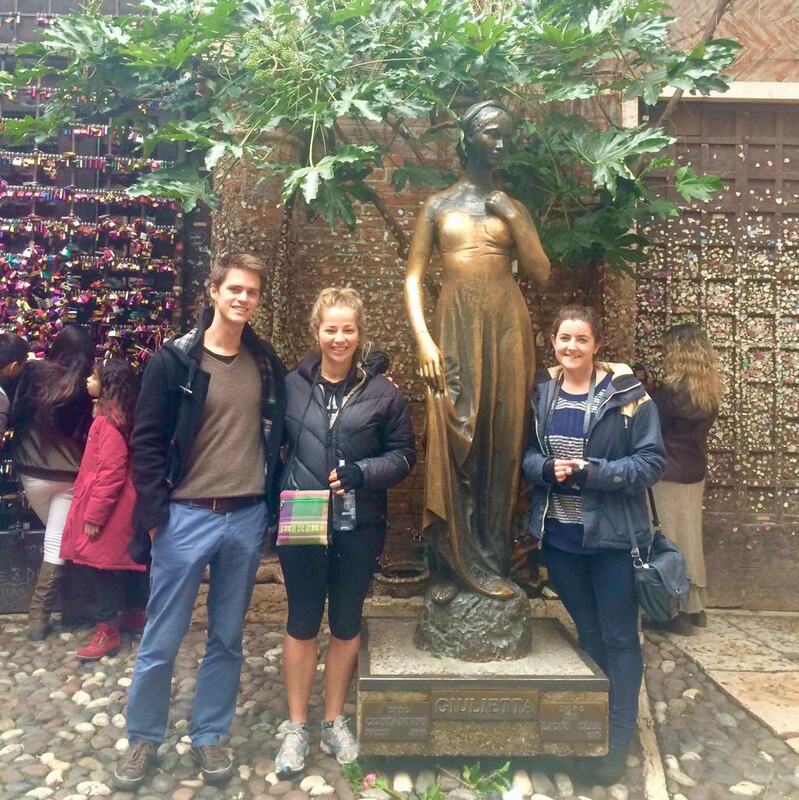 We walked through a tunnel that was literally covered in graffiti from top to bottom with love messages and knew instantly that we had arrived at Casa di Giulietta, also known as the home of Juliet. 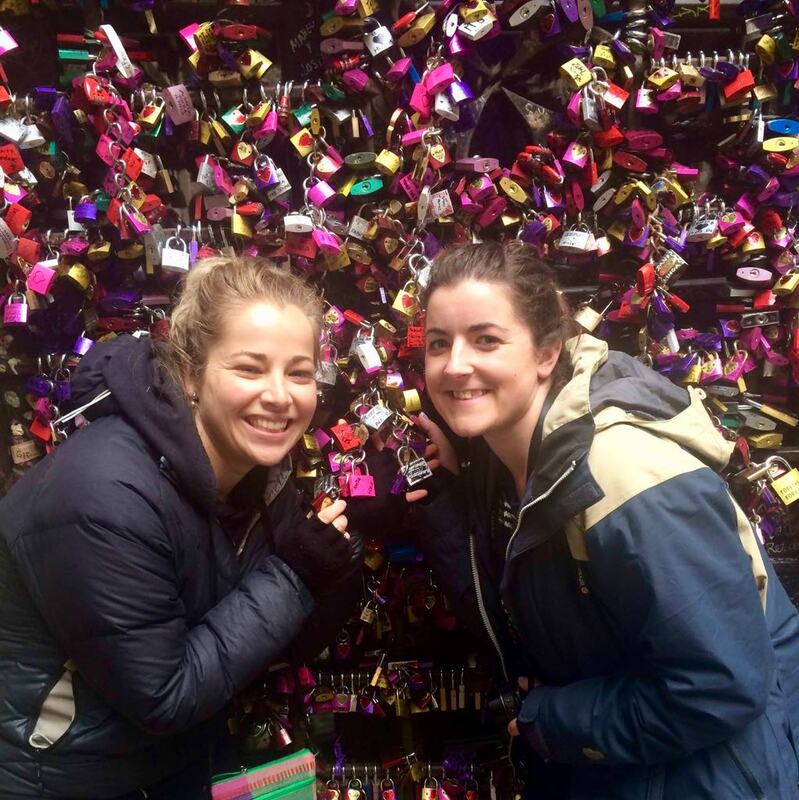 The wall of padlocks (a symbolism of lovers locking their love forever) and love messages (attached to the wall with hardened chewing gum) showed us just how seriously the world had fallen for this enchanted tale, and seeing Juliet’s balcony with my own eyes was almost enough to capture my heart too. Unfortunately that day Romeo did not make an appearance, and we had to settle for a photo with a statue of Juliet instead. 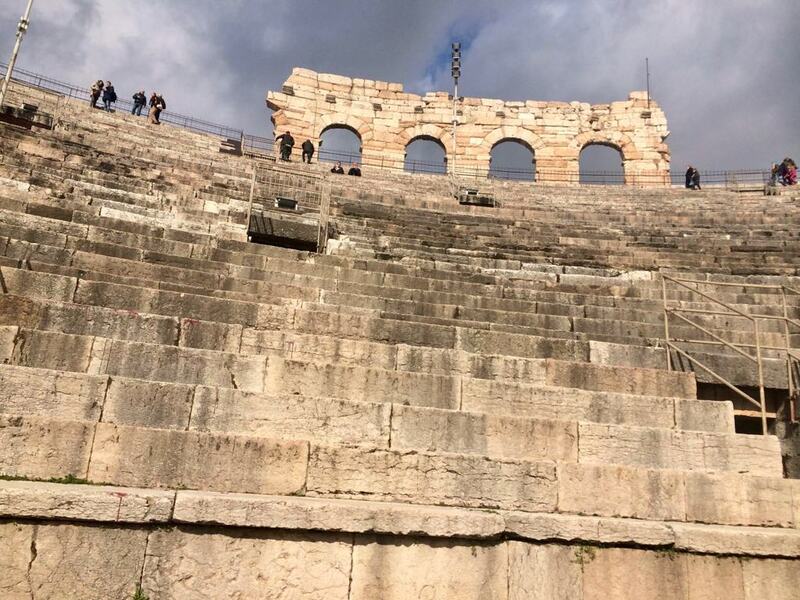 The other main draw-card for Verona is the Amphitheatre. It is located right at the heart of the town, essentially bordering the Piazza Bra. For a small price one can enter the amphitheatre (if you go during the opera season it is possible to see a performance inside), ideally (but not essentially) on a day when it is not raining as the theatre is open to the skies. We climbed to the top of the amphitheatre, walked right around the top level of seating and then just sat for a while; acknowledging and appreciating what a beautiful work of art we were experiencing. After devouring some delicious gelato, we left Verona tired, happy and content, having thoroughly enjoyed our experience of a beautiful little town appropriately nicknamed ‘mini-Rome’.